This is another myth. The truth actually serves as proof that nuclear power is bad. Nuclear power plants all around the world are built on fault lines, and many of these include areas that are susceptible to tsunamis and earthquakes. For example, in the U.S. there are four reactors of considerable size located right on the California coast, which is very earthquake-prone. Virtually none of them is designed to withstand a quake of more than a 7-point magnitude. 1. It is cheap to produce nuclear power. It is often claimed that nuclear power has low production costs, but for some reason the large capital costs that are needed to run nuclear power plants are not included here. The only costs included are just those for operation, fuel, and maintenance. However, the capital costs are so high, that it is difficult for nuclear utilities to even compete after deregulation. 2. 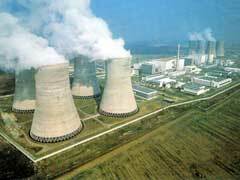 Nuclear power plants do not produce carbon dioxide emissions.